Life is full of distractions. That's not always a bad thing. Our personal relationships can distract us from the stress of work. Work can offer a distraction from hardships in our personal lives. Books have consistently been my favorite distraction from all of the news and technology overload. My husband has always loved listening to talk radio. He listens to it in the morning when he's getting ready for work. He listens to it in his office. Whenever we are on long road trips (during which I usually fall asleep), he scans the radio for a talk program. When we were first married and living in an apartment near Dallas, it took a couple months for me to figure out that his talk radio programs were putting me in a very bad mood in the morning. He had every radio in the house tuned in to the same station. It was playing in the bedroom, the bathroom, and the kitchen, so he could seamlessly scurry around the apartment to get ready, and not miss a single word. As soon as he walked out the door, I went through the apartment and unplugged every radio. I know I could have simply changed the station or turned it off, but there was a certain satisfaction I got from yanking the cord out of the wall and basking in the quiet that followed. Then, I would read a book. Last July I finally jumped into the e-book craze and got a Kindle. Of course, I love it. What's not to love? Amazon has a TON of free books available to download. Of course, that's part of the problem. I have now downloaded a total of 200 books on there, and I think I've only read about a dozen of them from start to finish. I'm starting to feel like this Kindle craze is just giving me a slight case of ADD. All too often, I find myself reading a book on it, and just a few pages into it thinking, "I'm just not into this one." So I jump to the next book. I'm a lot slower to reach that conclusion with the old fashioned paper copy. When I was in college, I worked at a locally owned bookstore in Lincoln called Lee Booksellers. 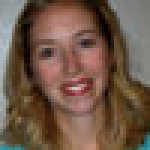 When I got that job, it was like the scene in The Sound of Music when Maria is spinning with joy on top of a mountain. Getting paid to be surrounded by books! Sadly, Lee Booksellers is no longer in business. Borders closed all of their remaining stores last September. Last night, I had a nightmare that the Barnes and Noble I used to work at in Omaha closed. Yes, it was a nightmare, and yes, I really had it. While it's hard to beat the convenience and available selection of e-books, I still don't like them as well as real books. I still love to trade in and buy books at Accents, Etc. I still get ecstatic if I can get my hands on an anticipated new release at the library. I downloaded a few children's books on my Kindle, thinking my kids' younger, techno-oriented brains might enjoy that. Nope, they still want to see Geronimo Stilton in full color or turn the pages back and forth to laugh at their favorite illustrations in the Diary of a Wimpy Kid books. On that note, I'll end this blog with a quick review of Jeff Kinney's "Diary of a Wimpy Kid: The Ugly Truth." This is book 5 in the series, in which narrator Greg Heffley deals with junior high life after having a falling out with his friend Rowley. If you have kids between second and sixth grade, this is one you have to read with them. If you don't read it with them, I promise you, they will keep bringing the book to you, saying, "Mom! (or Dad) You just have to read this part--it's SOOO funny!" It was laugh-out-loud, tears in my eyes funny. Of course, there's the typical flatulence and boys with poor bathroom aim humor, including one scene where the boys are making fake bodily function noises at a school lock-in. If you don't laugh when you get to that part of the book, check to see if you still have a pulse. 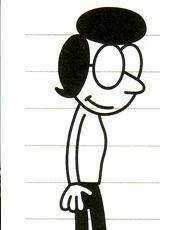 As a mom of three boys, I related so well to Greg's mom, Susan Heffley, I used her avatar as my facebook profile picture. I give this book a B+, because as a responsible parent, I have to downgrade it from an A for immature flatulence humor--no matter how hard it made me laugh. Glad you got a Kindle and like it! Books are one of the best things in life. Keep reading, keep living, keep enjoying life. I gotta get "Diary of a Wimpy Kid". This was a pure pleasure to read. I loved every word and only confess to a slight bias because I too LOVE books and words and writing. Do some more of that, won't you? PS: Thanks for the tip on a book for my grandchildren. I might also recommend the use of an iPad, iPod touch, or iPhone (in addition to Kindle Fire) for children as well. I have been utilizing the iPad for literacy skills and notice that the engagement I get with the interactive books (many of them free) increases dramatically. While I still advocate most ardently for the use of a page turning, print-on-paper book to teach literacy skills, the new technology allows a child who may not at first be interested in a book, to become personally involved with the story by moving and touching the characters on the screen. The characters and the items typically make noise or can be manipulated. One story I used (one of Aesop's fables I think) allowed the child to help a bird get a drink by placing stones in a pitcher. It brought the words to life for him/her. Moreover, one can choose to have the story read to the child by the device, or one can choose to do the reading themselves. If you have this technology in your home already, as I mentioned, many of these books are free in the "app store".